Sir Arthur (Stable name Arthur) is a 14 year old Irish sports horse owned by Roma. 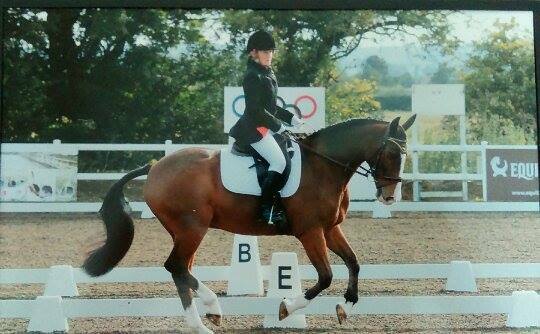 ‘Hi Sam here is a photo of myself and my boy (Sir Arthur) we are competing at our first ever pet plan area festival. We had only been competing since the beginning of the year. 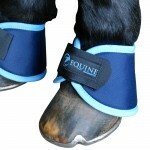 We wear our hock boots before and after competing as I feel it helps with his warm up and cool down. We love them. He also wears the overreach boots. We love those two. Thank you for your amazing products’. To find out more about our magnetic hock boots and magnetic overreach boots click on the images below. 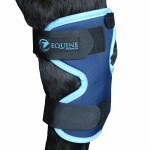 Magnetic Therapy can be used on horse and ponies for general well-being or for specific injuries and conditions. Magnets work by relaxing capillary walls and surrounding soft tissue. This is improves blood flow and oxygen around the body helping to promote healing and speed up the recovery process. Use 30 minutes to an hour prior to exercise to warm up your horse’s muscles and around 30 minutes after exercise during cool down. This entry was posted in Pre & Post Exercise. Bookmark the permalink. 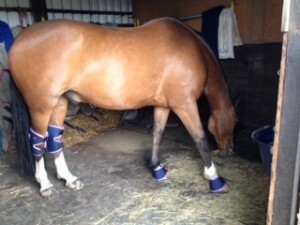 My horse has arthritis in her hocks, using the magnetic hock boots has made a difference. She is a lot more free in her movement and not tripping half as much. I’m that pleased, just saving to buy the magnetic stable rug.